Geneva bed and breakfast travel guide for romantic, historic and adventure b&b's. 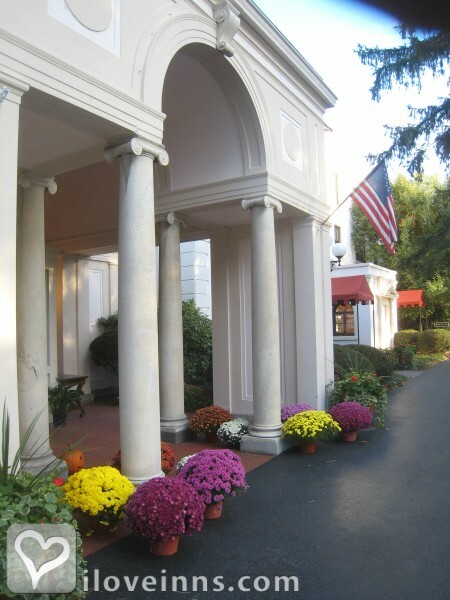 Browse through the iLoveInns.com database of Geneva, New York bed and breakfasts and country inns to find detailed listings that include room rates, special deals and area activities. You can click on the 'check rates and availability' button to contact the innkeeper. Set on the beautiful Seneca Lake in the heart of Central New York is the city of Geneva. Here you can walk, bike, or simply sit while admiring the lake views. The City of Geneva offers the atmospheric opera house for a most unique experience. Walk through the flower shops and antique stores that line the streets and enjoy a unique eating experience at the sidewalk cafes or in a comfortable restaurant. Also try the Geneva bed and breakfast and experience what is truly the Geneva experience. By Gentle Giants Bed & Breakfast. In the beautiful Finger Lakes of Upstate Central New York, right on the shores of Seneca Lake, lies Geneva, NY. It is home to Hobart & William Smith Colleges, The Smith Opera House, and the Cornell Agricultural Experiment Station. The Seneca Wine Trail is home to over 85 wineries, some of them now being sold internationally, so tasting them is a must! A favorite is the old-fashioned artisan bakery, where you can reserve High Tea, restaurants that serve local, farm to table fare, such as Kindred Fare or FLX Table. A major attraction is the walk on the waterfront of Seneca Lake, which showcases the beauty of The Finger Lakes. By The Rose Petal.